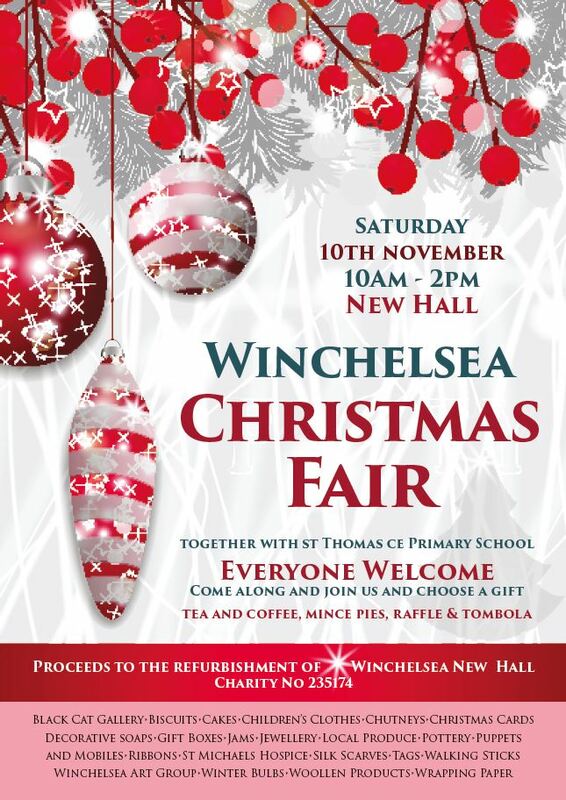 Winchelsea Christmas Fair at the New Hall Winchelsea, Rectory Lane on the A259. TN36 4EY. Everyone welcome to a host of Christmas Stalls,Refreshments, Tombola and Raffle with Carols by the children from St Thomas CE School. Proceeds to the Hall refurbishment fund Reg Charity 235174. Just the place to start your Christmas Shopping. Image Credits: Winchelsea Christmas Fair.